Quick and easy strawberry buttercream frosting recipe for cupcakes and cakes. This fresh strawberry frosting is smooth, creamy, easy to spread and pipe. Strawberry frosting is not something that ever never blew me away UNTIL I made this fresh strawberry buttercream frosting. When CHILLED, this strawberry frosting tastes like ice cream and it’s so good that you want to eat it by the spoonfuls! hehe. 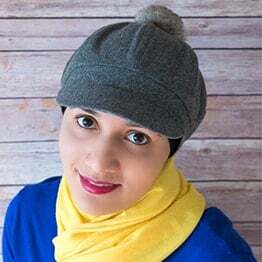 One of my FAVORITE desserts is a strawberry buttercream cake, which is a yellow cake loaded with this buttercream and chopped strawberries…YUM! This frosting was also an instant hit at my son’s Baby Einstein birthday party. Strawberry buttercream with jam was my second favorite but different brands of jams were giving me different results and many of the jams had seeds, which I really don’t care for! In this process of finding the best recipe, I also developed TWO more recipes: strawberry cream cheese frosting and strawberry whipped cream frosting. They are both incredible and I can’t wait to share those with you soon. This frosting is NOT the same as a strawberry icing glaze. Glaze is much thinner and used on donuts and bundt cakes. Use unsalted butter at room temperature. There is nothing worse than using salted butter in a frosting…Yuck! Fresh strawberries or frozen strawberries can be used in this recipe. Just make sure the frozen strawberries have thawed a bit so that it’s easier to blend them into a puree. 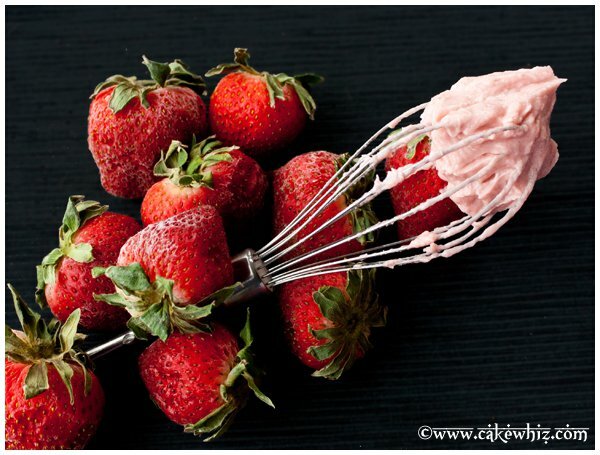 Don’t forget to strain the strawberry puree or else your frosting will be very seedy. I have noticed the flavor of this frosting gets DEEPER after it has a chance to rest in the fridge for 2 days. Pink gel coloring can be added at the end to ENHANCE the color. 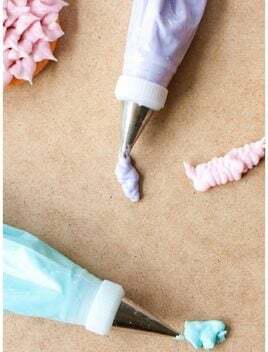 This frosting is enough to fill and frost a 6×2 round cake or 18 cupcakes. Recipe can easily be DOUBLED to make a bigger batch frosting. Piping this frosting is easier if you chill it for 20-30 minutes. What is a strawberry puree? Strawberry puree is made by blending fresh strawberries into a paste and then straining it to remove seeds and chunks. How do you puree frozen strawberries? How to make strawberry frosting with frozen strawberries? Let them thaw and soften a bit before processing them in a blender. 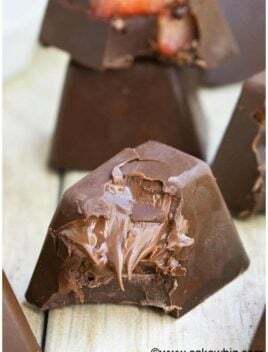 Use the same instructions but replace fresh strawberries with frozen strawberries. 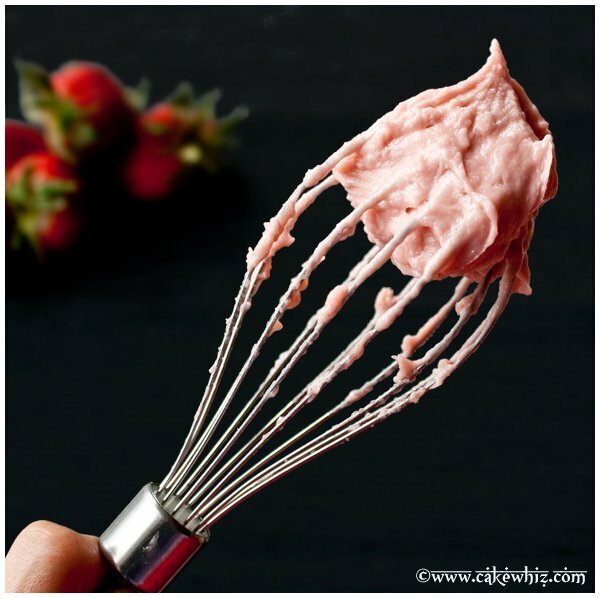 How to make strawberry frosting without powdered sugar? How to make strawberry frosting with cool whip? 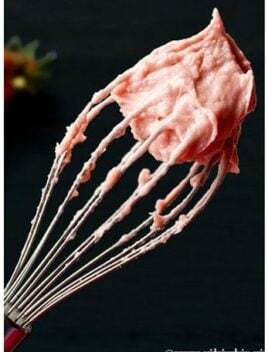 how to make strawberry frosting with whipped cream? Just add 2 tbsp strawberry syrup to a container of Cool Whip and mix it together. If you are not using Cool Whip, prepare homemade whipped cream (I use 1 pint heavy cream) and add 2 tbsp strawberry syrup and mix it together. Add pink gel food coloring if you like. 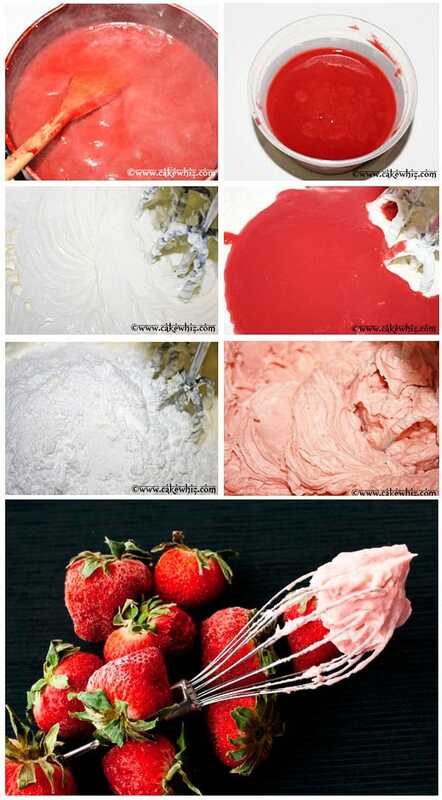 How to make strawberry frosting with cream cheese? This recipe is NOT made with cream cheese. 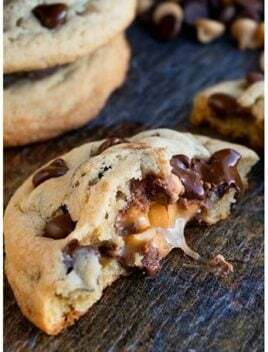 I will be sharing that recipe soon. Stay tuned! How to thicken strawberry frosting? This is the rule of thumb => If frosting is too thick, add water to thin it out. 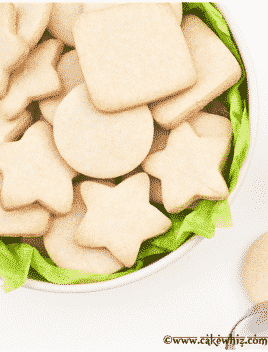 If frosting is too thin, add powdered sugar to thicken it. How to make strawberry frosting with jam? Replace strawberry puree with 3/4 cup of the best quality of strawberry jam you can find. 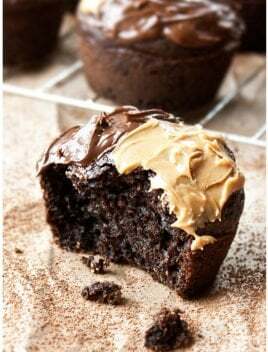 You will probably need to add additional water or powdered sugar to get the desired frosting consistency. How to make strawberry frosting without butter? You can omit butter and use all shortening. 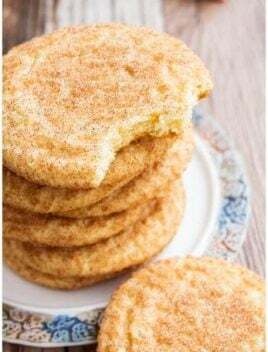 However, butter adds so much flavor and richness to this recipe that the flavor will change slightly. How to make strawberry frosting for donuts? That is actually called a glaze. You can thin out this frosting with additional strawberry puree OR just use another recipe, specifically for donuts. Add strawberries in a blender and puree until smooth. Strain to remove all the seeds and any leftover chunks. Pour the puree in a saucepan and cook on medium high heat for about 10 minutes until the puree is reduced by half. Chill puree the freezer so that it cools down quickly. While puree is cooling down, cream together butter and shortening in a mixing bowl. Add powdered sugar, alternating with strawberry puree and continue mixing until mixture is smooth and creamy. Add strawberry and vanilla extracts and mix again. Frost your cakes and cupcakes and enjoy! @Angelina…you guys are gonna love this frosting! Shortening is similar to butter. You can use only butter instead of shortening . It would still taste good. I made this tonight. It definitely needs the strawberry flavoring. Right now it just tastes like pink crisco and sugar. Have to go on the hunt again tomorrow for the flavoring. Haven’t been able to find it anywhere and I need the frosting for my niece’s bday cake for tomorrow night. You really need to use the flavoring coz sometimes the strawberries are just so flavorless and sour, especially if they are out of season. I have used McCormick brand’s of strawberry extract, which is usually available at Target or Jewel-Osco. But I love the ones by Olive Nation and Frontier. They really intensify the strawberry flavor. I order my extracts from Amazon.